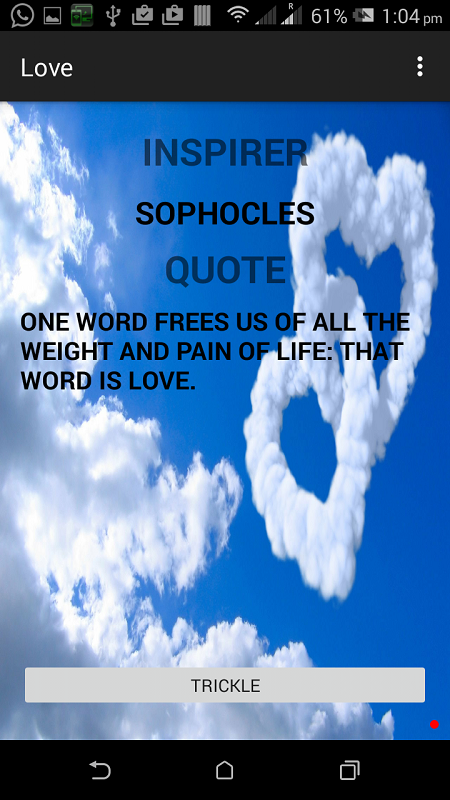 This app generates a positive motivation quotes from great people randomly for categories like Success (Inspiring) quotes, Women motivation, Love, and Birthday. 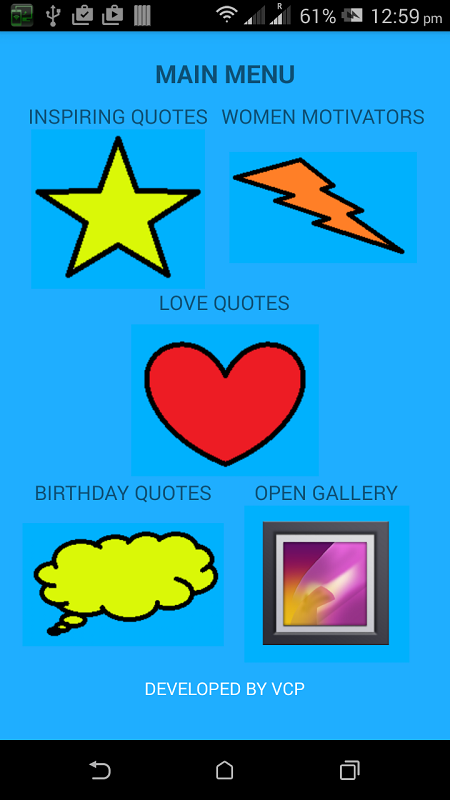 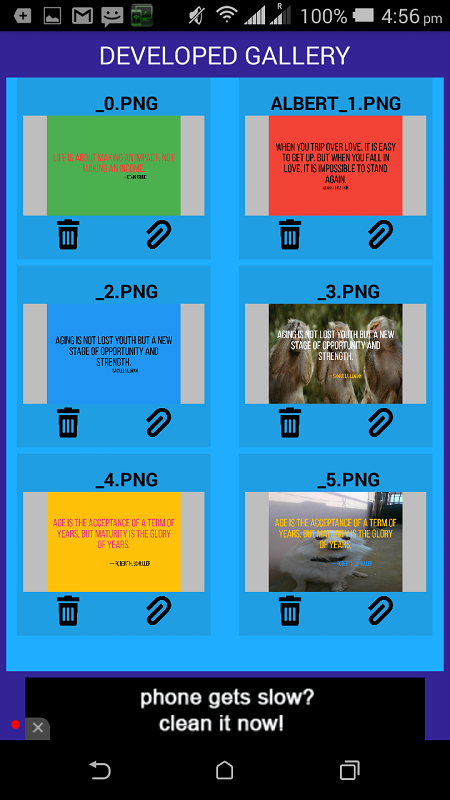 This app contains a simple card maker with the capability to add photos from your gallery or you can choose some plain color for the card background and you can share it with your friends through whatsapp, Facebook etc. 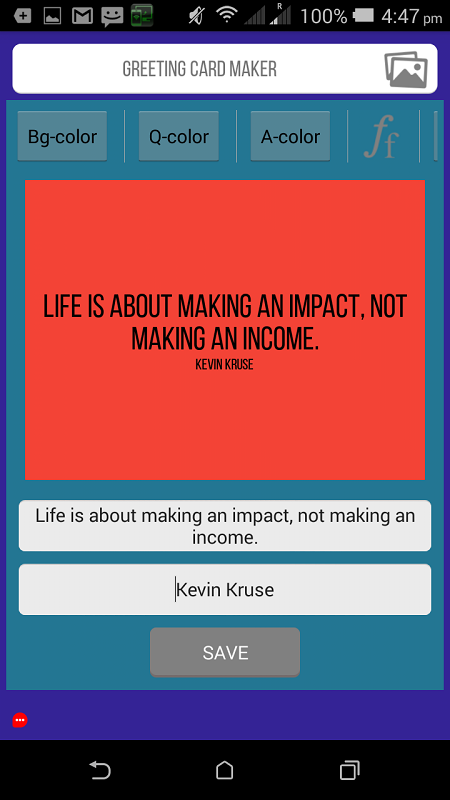 Already have a good card maker app in phone, You can also copy the generated quotes from the app to clipboard and you can use it on other apps to make changes as you wish. 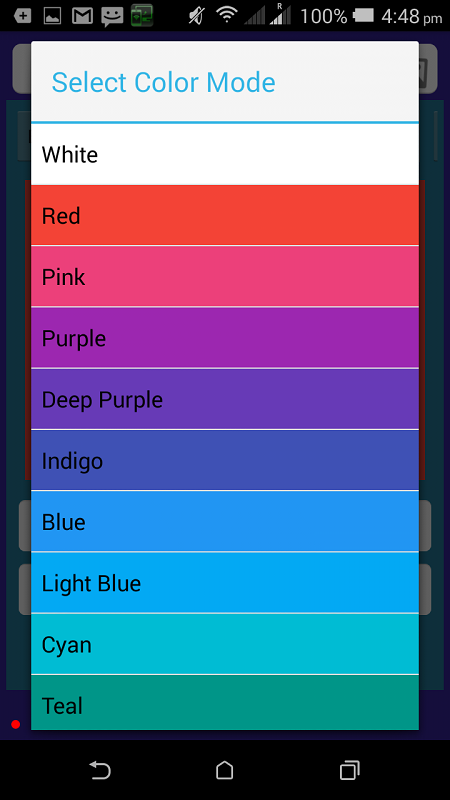 This is my first app, all reviews are welcomed.